Great style and simple storage come together in this desk. Four drawers of varying sizes feature full extension glides and give you room to store important papers and office supplies within reach. 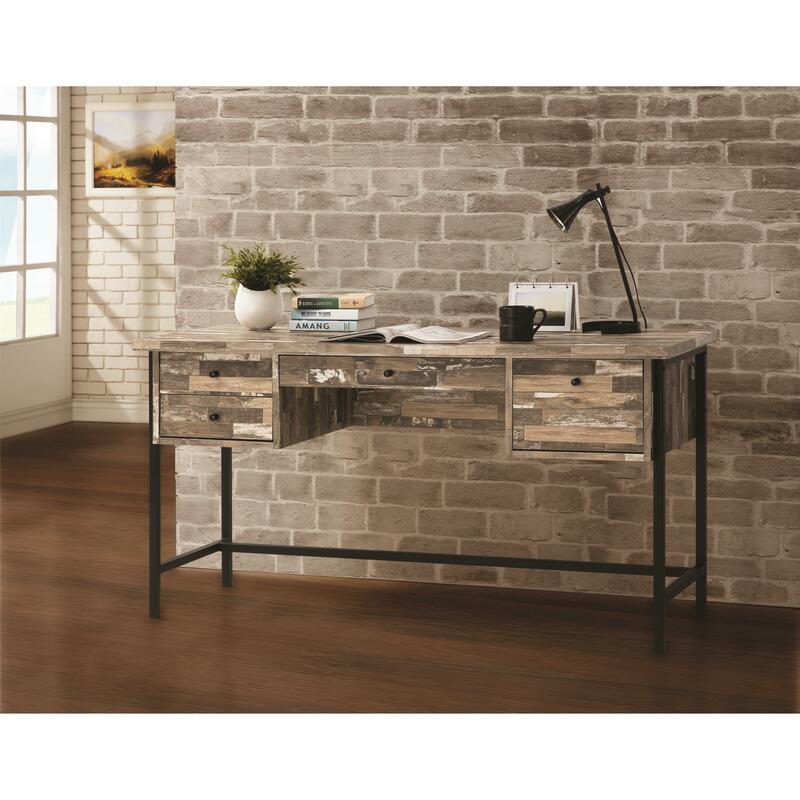 This desk sits on a metal base and features rustic style wood in a salvaged cabin finish. The Rustic Style Writing Desk with Drawers by Coaster at Prime Brothers Furniture in the Bay City, Saginaw, Midland, Michigan area. Product availability may vary. Contact us for the most current availability on this product.